 Garfield High School’s PTSA is hosting their annual Purple and White Gala on March 31st from 6-10 PM. This annual auction event, will be held at the Washington Hall in the Central District, and aims to raise $200,000 for students and the Garfield community. The main goal for this year’s auction is to focus on equity and opportunity. Barbara Rockey is a first-year PTSA President, and is highly involved in the making of the Gala. She spoke on what is being done with the money raised. “It is going to support everything and anything that is needed, whether if its working with the College and Career Center, athletic department, the library, the Teen Health Life Center, programs at this school, college trips, etc.,” said Rockey. Rockey thinks that even though this event is geared towards parents, it is important for the student body to attend because the funds will primarily go towards students. “[Students] are at the forefront of everything; deciding if something’s not going well and coming to us with as much of a voice you have is important,” said Rockey. Students are able to attend the Gala by volunteering as servers and bussers, which is also a great way to get volunteer hours. “We will need student servers for food, performers, and students that will help us in any capacity,” said Rockey. The Gala is a fun and safe place for anyone to dance, eat, see performances, and enjoy their time while supporting the Garfield community. “You will be and bleed purple and white until you are no longer in existence,” said Rockey. Are you interested in volunteering this year? Contact GarfieldAuction2018@gmail.com for more information.